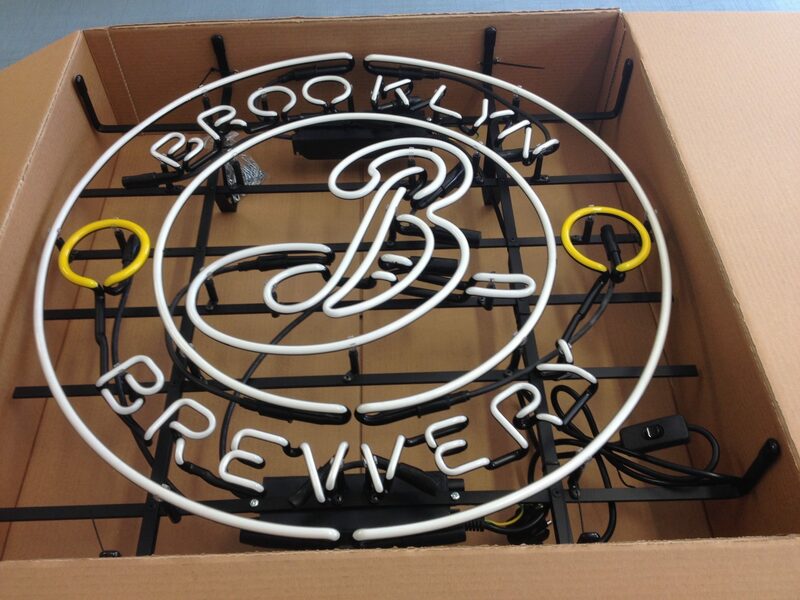 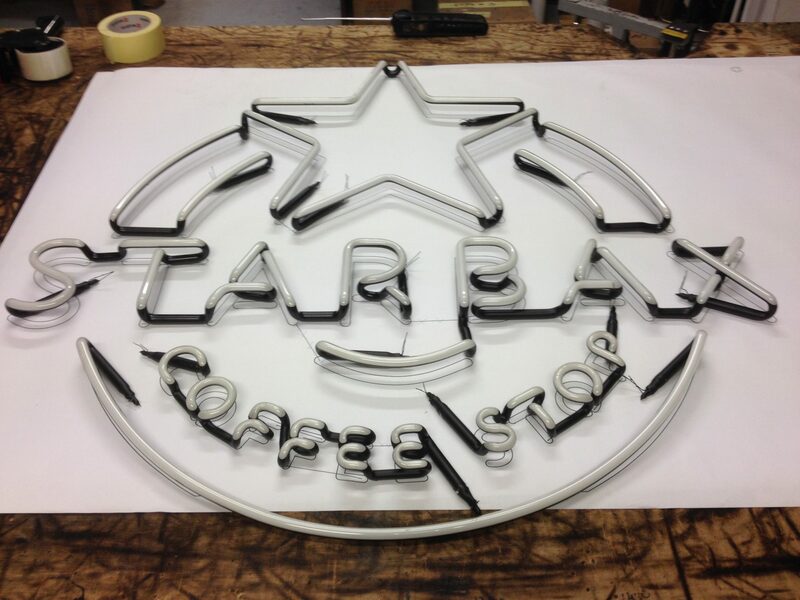 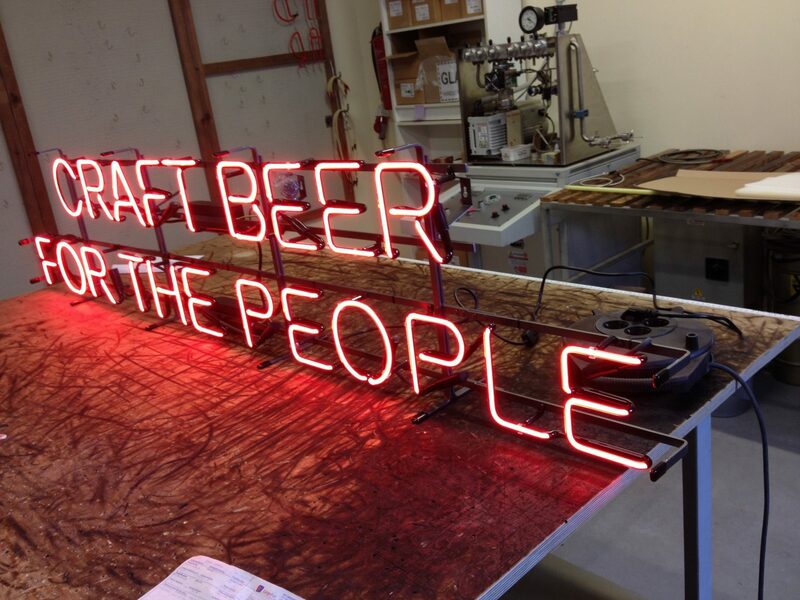 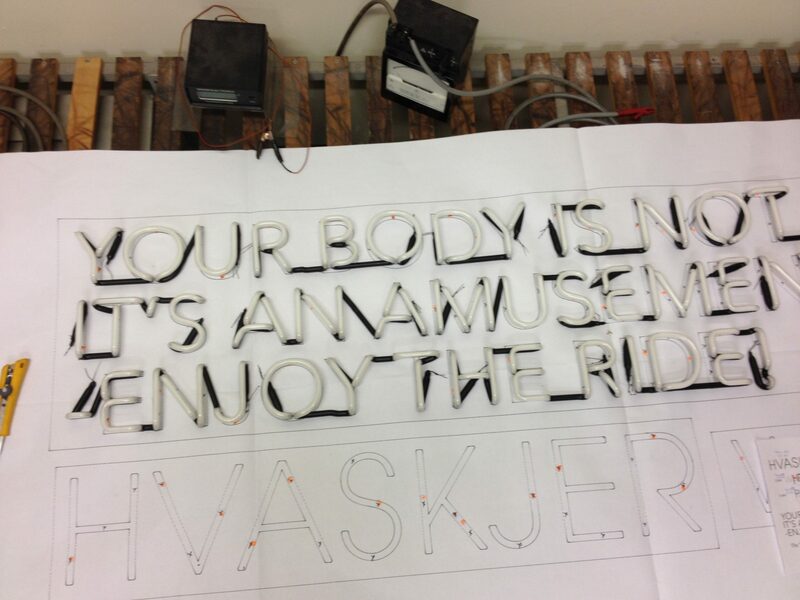 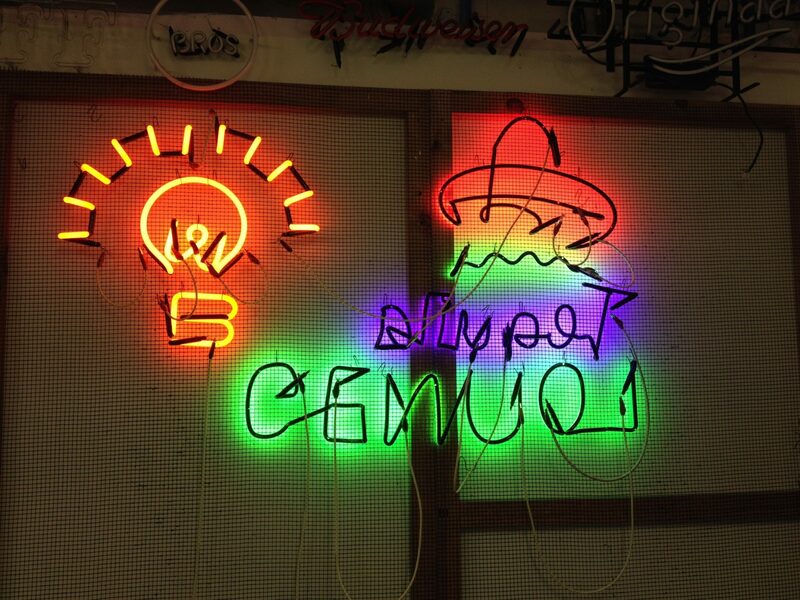 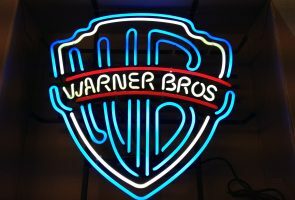 The production of neon signs starts with the design. 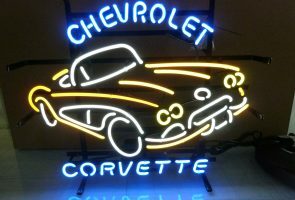 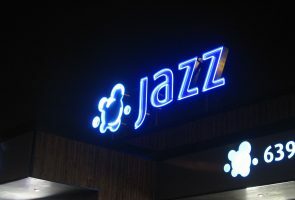 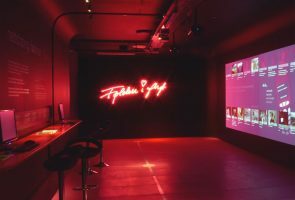 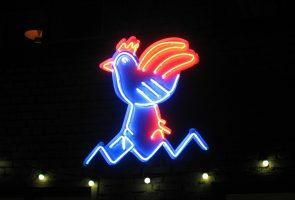 Material of a suitable colour and diameter is selected according to the design; detailed blueprints for the neon sign are prepared and coordinated with the customer. 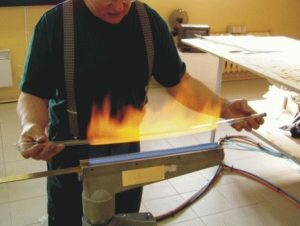 Neon tubes are fully handmade, so life-size drawings are printed out, which the glass blowers use to produce the parts of the required shape and size. 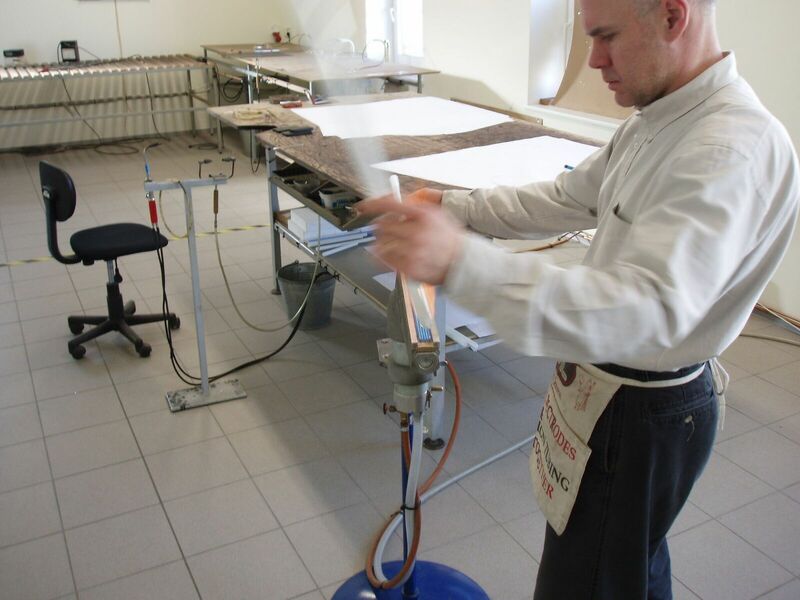 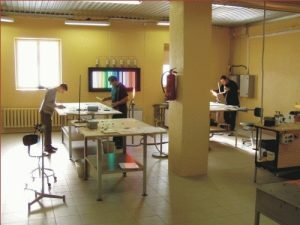 As glass is a very delicate material, this process requires a lot of experience and years of practice. 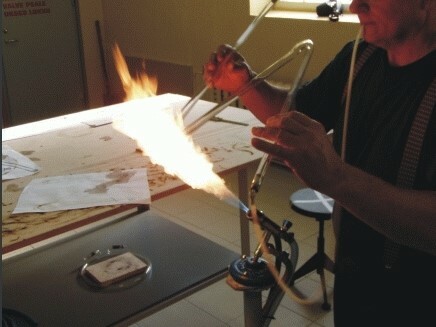 Various gas burners are used to heat the glass to the required temperature, once ready – the glass tubes are bent according to the drawings provided. 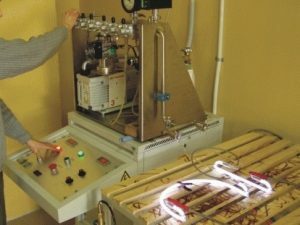 Once the glass has cooled down again, electrodes are soldered to the neon tubes and connected to the vacuum system. 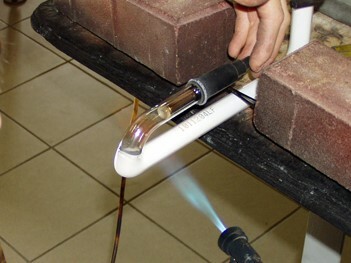 The tubes are then heated up once more to approximately 250ºC, so that air, vapour and any possible contaminants are removed from the neon tubes. At the end of this process, the air pressure inside the tube is approximately one million times lower than the surrounding atmospheric pressure. When the needed vacuum has been reached and the part has cooled down, the neon tube is filled with the required inert gas (Neon, Argon, Xenon) and then disconnected from the vacuum system. 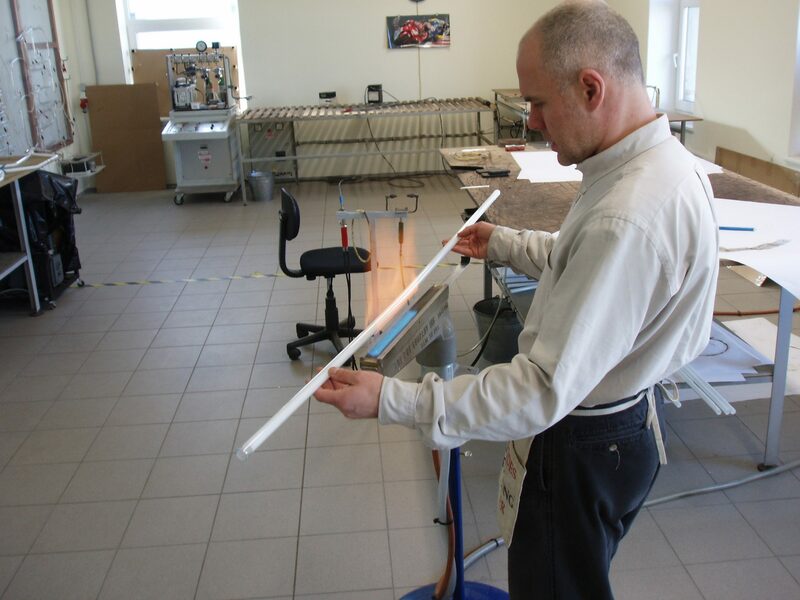 To check the quality of the neon tubes and ensure their long-term reliable operation, the tubes are placed into a test stand and left there for at least 24 hours with the light on. 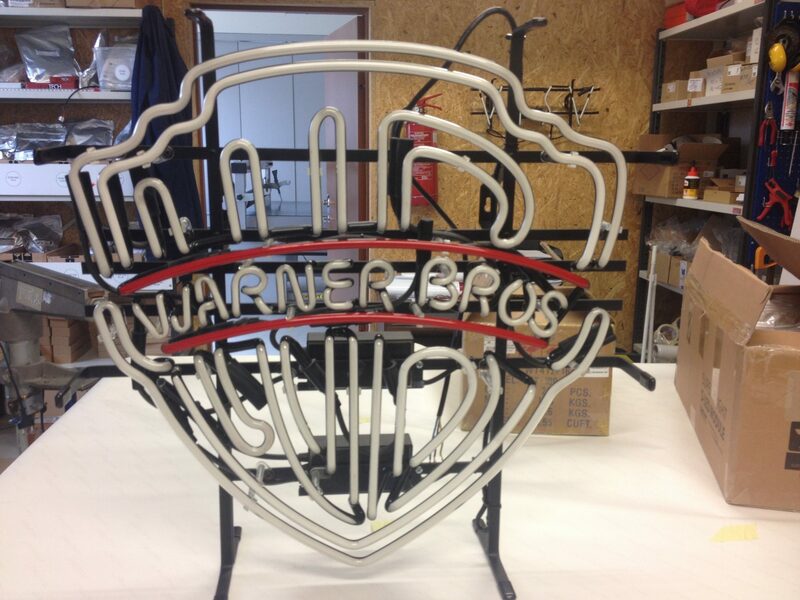 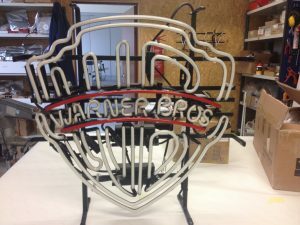 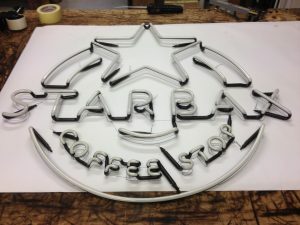 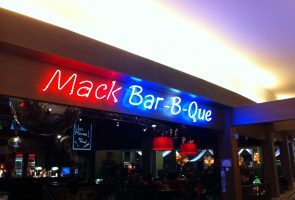 After that, the neon tubes are ready and we can begin assembling the sign according to the customer’s specifications. 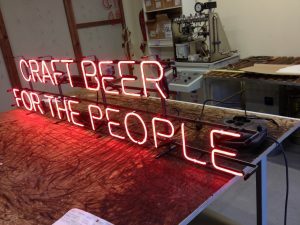 As a rule, the neon tubes are mounted on three-dimensional letter bodies, metal frames, other backgrounds, or simply packaged for transport. 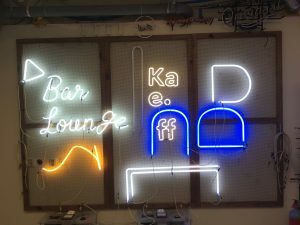 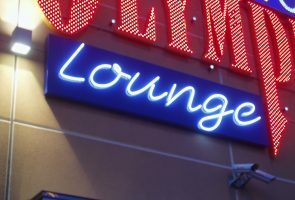 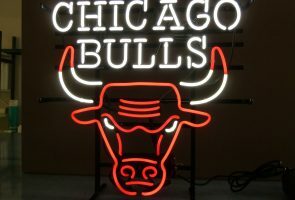 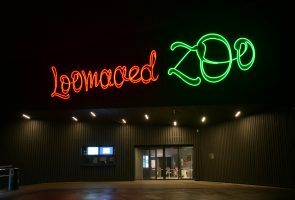 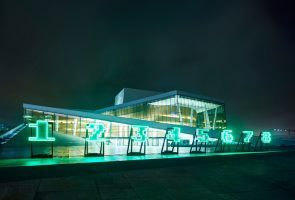 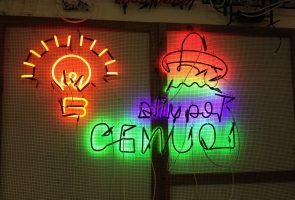 The required power-supply equipment is provided for the signs, cables are installed, the required connections are made, and the neon sign is ready for installation. 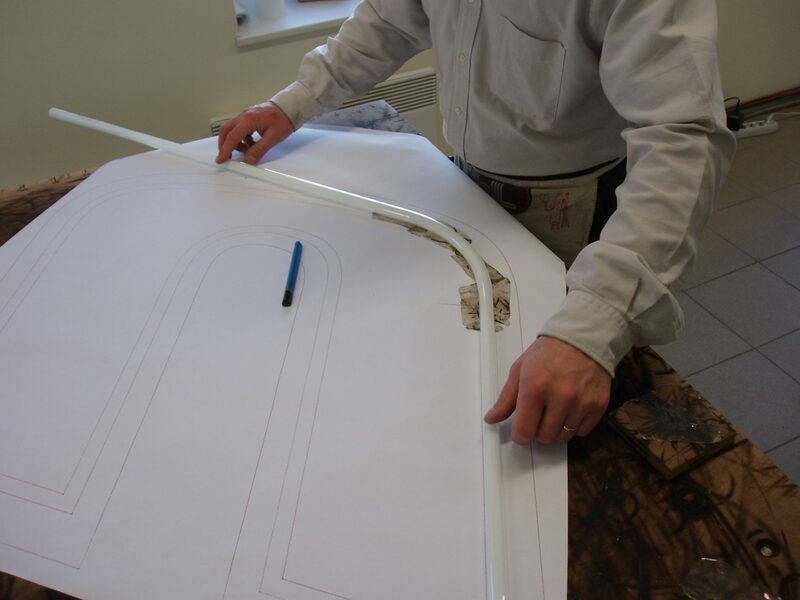 All design-drawings are stored in our archive to ensure problem-free maintenance for years to come.